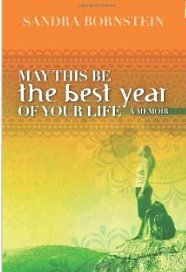 Based on a private journal, memories, and a blog that chronicled her adventure to India, Sandra Bornstein wrote this to serve as a resource and guide to help others overcome the challenges of living outside their comfort zone. When her husband accepted a job that required extensive international travel, the author was living her version of the American dream in Colorado, never imagining she would be faced with several dilemmas that left her feeling uncertain. After a series of events, she found herself in a life altering experience that placed her alone in a three-hundred-square-foot dorm room while teaching at a renowned international boarding school in Bangalore. This compelling, honest, and edifying memoir shares everything she learned about perseverance, travel, education, faith, and family. Had Sandra never resided in India, she would have missed out on an experience that ultimately enhanced her resiliency, confidence, and passion for life.